Looking for Switchgear? Get a quote fast. Electrical switchgear & switchgear systems, whether low voltage or medium voltage, are used across commercial and industrial applications. Switchgear is comprised of a series of components, including switches, fuses, and circuit breakers, that work together to safely distribute power in an electrical system, while also protecting electrical equipment in case of faults or overloads. Depending on the type of switchgear (low voltage, medium voltage, paralleling...etc. ), the components we use may vary. When it comes to switchgear, it’s not "one size fits all." In order to effectively protect and power your electrical distribution system, you have to start with the right switchgear equipment. What you choose will vary, depending on your individual needs and specifications. Knowing the requirements, limits, capacity, use, and/or ratings of your electrical system can be extremely helpful in choosing the right equipment for the job. Bay Power is proud to carry a wide variety of electrical switchgear that service both industrial and commercial sectors. Our vast inventory includes industry-leading switchgear manufacturers like Cutler Hammer, Square D, Schneider Electric, and Federal Pacific. Choose from our extensive selection of switchgear products, spanning low voltage switchgear, medium voltage switchgear, paralleling switchgear, metal clad switchgear, and switchgear parts and components. Low voltage switchgear, or LV switchgear, refers to switchgear systems that are rated up to 1 kV (or 1000V). 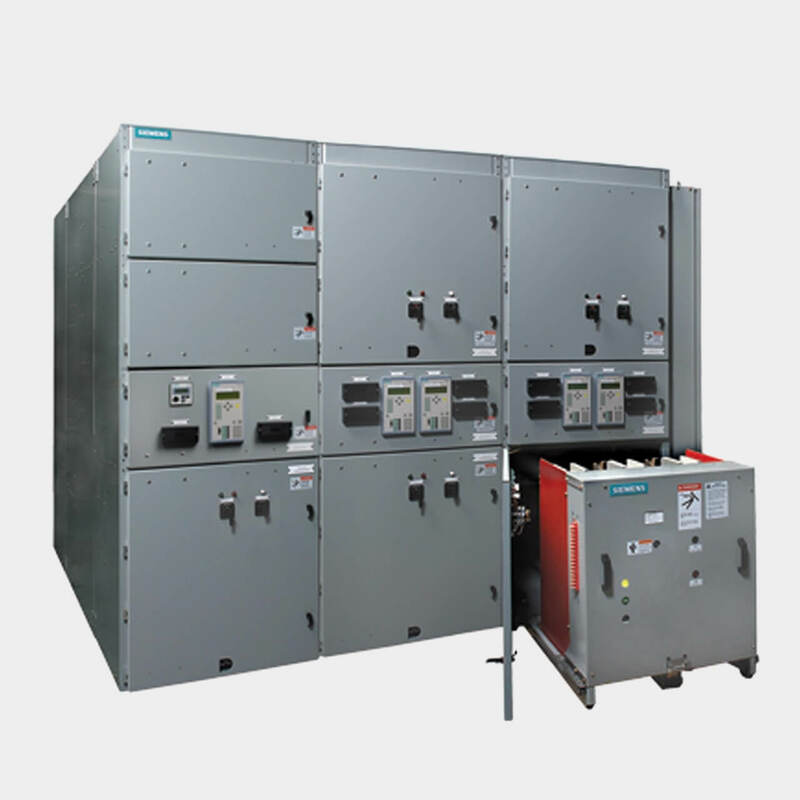 LV switchgear is most commonly used across industrial and commercial sectors for motors, air conditioners, heaters, lighting networks, among others. Especially effective for withstanding short circuits for long period of time, low voltage switchgear uses a combination of breakers, fuses, transformers and other parts to protect and deliver electricity, while also allowing for safe switchgear maintenance. 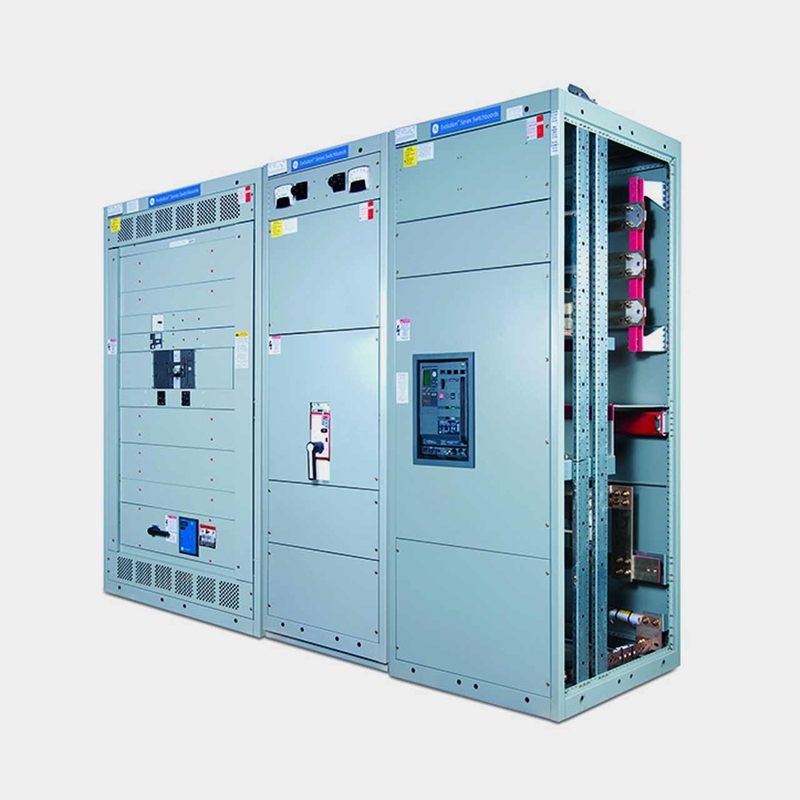 Medium voltage switchgear, or MV switchgear, protects electrical systems rated between 1kV and 75 kV. Common medium voltage switchgear ratings include but are not limited to 5kV, 15kV, 22kV, and 35kV. MV switchgear is used across commercial and industrial applications, commonly using air circuit breakers as their method of circuit protection. That being said, air insulated medium voltage switchgear is becoming a popular choice, especially due to its safety features and cost-effectiveness. Since it does not utilize gas insulation, it can better protect you, your electrical switchgear system, and the environment as well. Having a reliable, durable, and effective system depends on getting the proper switchgear parts and components. From switchgear control panels and protection relays, to switches, circuit breakers and fuses, Bay Power is proud to carry a wide variety of switchgear parts from top North American manufacturers. Whether you’re looking for something new, or you’re looking to replace an old switchgear component, we have the part that’s right for you. Have any old switchgear equipment lying around? Don’t get rid of it just yet. While we stock a wide range of quality switchgear, both new and reconditioned, we also buy back your unwanted equipment. So before deciding what to do with your old switchgear, have one of our expert technicians take a look to see if we can save a few parts, save the environment, and save you some cash. Great service shouldn’t end after the purchase. We pride ourselves on the relationships we build with our customer-first mentality and the quality of our switchgear products. That’s why we offer a 1-year replacement warranty on all of our components from all the top switchgear manufacturers. Because when you buy with Bay Power, you buy with confidence. We are proud to stock a variety of competitively priced, new and reconditioned switchgear products from leading North American manufacturers including Eaton, GE, Siemens, Allis Chalmers, Westinghouse, and ABB. With some of the largest inventory of switchgear equipment on the market, our resourceful and expertly trained staff will always be able to get the products that you need. Through our extensive network of suppliers, we are able to carry and acquire a huge variety of brand new switchgear, so chances are if you need it, we can get it. Bay Power’s priority is providing you with reliable, high quality switchgear, whether low voltage, medium voltage, or otherwise. That’s why our mission is to make sure our reconditioned products function as perfectly as the day they were built. Our selection of new surplus switchgear products and components may not arrive brand new in a box, but they function just as well, and have never had electricity run through them. All of the quality, none of the packaging, always with our 1-year replacement warranty.